Emma Darwin grew up in London, with interludes in Manhattan and Brussels. 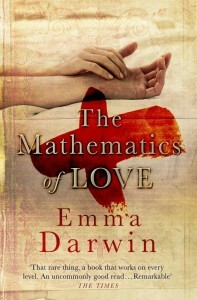 The Times called her debut novel, The Mathematics of Love (Headline Review), “that rare thing, a book that works on every conceivable level”. It was shortlisted for many awards including the Commonwealth Writers Best First Book, and has been widely translated. 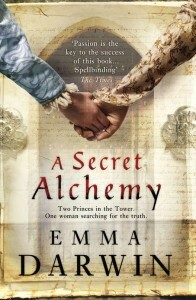 Her Sunday Times bestselling second novel, A Secret Alchemy (Headline Review) was described by the Daily Mail as “powerful and utterly convincing” and by The Times as “spellbinding”. 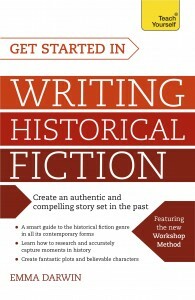 Get Started in Writing Historical Fiction is published by John Murray Learning in March 2016, as part of their Teach Yourself imprint. Emma’s short fiction has won prizes and been broadcast, and her third novel is in the works. 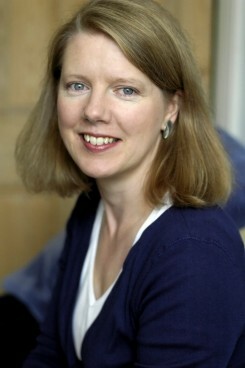 She teaches creative writing and mentors writers: for some years she was an Associate Lecturer for the Open University, and her PhD in Creative Writing (Goldsmiths) explored the practice of writing and reading historical fiction. She blogs about creative writing at This Itch of Writing.